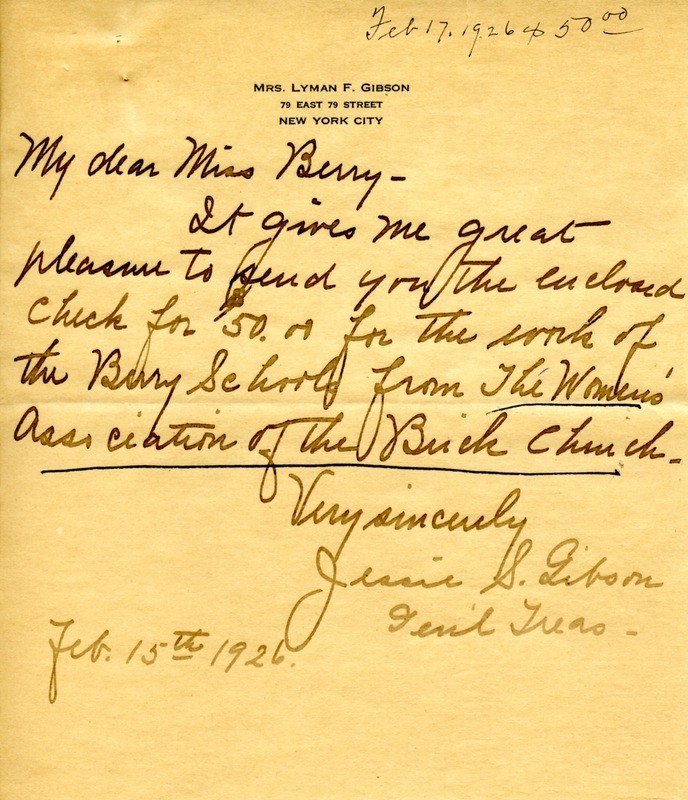 A Letter from Jessie S. Gibson on behalf of The Women's Association of the Buick Church to Miss Berry containing a check for $50.00 for the services provided to them by The Berry Schools. Jessi S. Gibson, “A Letter from Jessie S. Gibson to Miss Berry.” Martha Berry Digital Archive. Eds. Schlitz, Stephanie A., Jeremy Hankinson, et al. Mount Berry: Berry College, 2012. accessed April 26, 2019, https://mbda.berry.edu/items/show/3871.